Beautifully illustrated with 32 color plates, the 81-page book A Drink Named Tequila traces the history and mystery of tequila (the liquor) from its ancient roots to today. The text, by one of Jalisco’s foremost historians, José María Muria, provides many fascinating insights into Mexico’s national drink. The book does have a handful of minor flaws. For example, Muria writes that the cocktail known as a margarita is made from “a combination of tequila with a dash of lime juice, mint and salt”. Perhaps he wrote this phrase after tasting one too many tequilas, since for a genuine margarita, his “mint” would need to be replaced by a shot of orange-flavored liqueur such as cointreau or Gran Marnier. 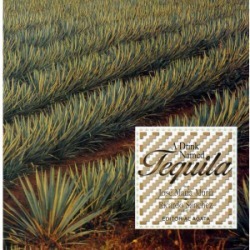 Despite such minor details, A Drink Named Tequila (Editorial Agara, 1996) remains a fascinating and well-illustrated read. Yes, that’s what too much tequila can do for you, but don’t let that minor error put you off from finding a copy of the book! ­¡Salud!